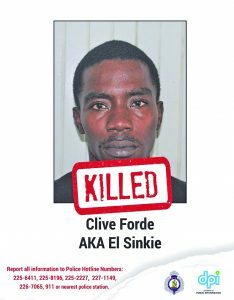 Lusignan Prison escapee Clive Forde, called ‘El Sinkie,’ met his demise in the community of East Ruimveldt, Georgetown in a violent exchange of gunfire with ranks of the Joint Services in tense and unsettling circumstances in the evening hours of Sunday; while fellow escapee Kerry Cromwell surrendered to the law enforcement officers at the Brickdam Police Station and is currently back in lawful custody. 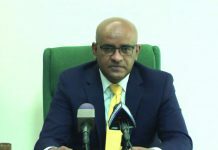 Acting Police Commissioner David Ramnarine, confirming that the police acted on information supplied by the public, disclosed that at about midday on Sunday, the Joint Services operation in East Ruimveldt that was designed to apprehend Lusignan Prison escapee Clive Forde led to a confrontation with the late fugitive from justice, and he was “mortally wounded”. Joint Services ranks had received information that the 29-year-old Forde was hiding out in a house in the area, and they surrounded the house. Forde, who had lived in Charlestown and Alberttown, was said to have attempted to flee the scene but ended up engaging the police in a firefight, Police later recovering a 9mm pistol with live rounds a short distance away from where his body fell. Arriving on the scene moments after the shootout had occurred, this publication witnessed residents of that community on edge as they recalled the sound of rapid gunshots that represented the exchange between the fugitive and police. Some disclosed that they had been taking extra precautions over the last few days to ensure that their doors were locked tight. “You got to keep your door lock! I telling these children every day!” an agitated resident stated. This newspaper was informed that when Joint Services ranks confronted the escapee, he fled through a narrow back alley that runs along Market Street, East Ruimveldt. 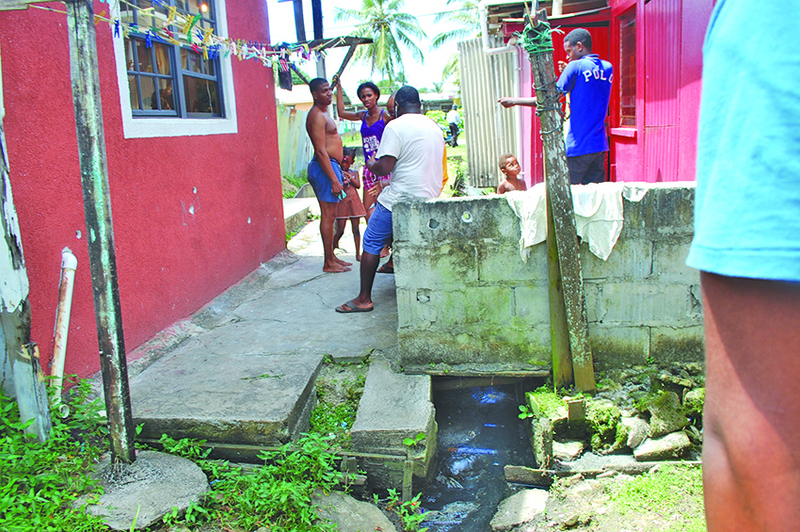 Some residents, however, suggested that the Joint Services ranks had fired their weapons indiscriminately, considering the number of children who traverse and play in the area. Guyana Times was told that a male resident in one of the community’s range houses was allegedly harbouring the escaped prisoner, but the police have not disclosed whether this individual or any other accomplice was detained. Many of the residents, moved with emotion, said they felt relieved that the prisoner had not been able to escape, and stressed the need for their children to live in a safe environment, especially given that it is the school holiday period. The now deceased Forde was believed to have been openly walking around in the community. 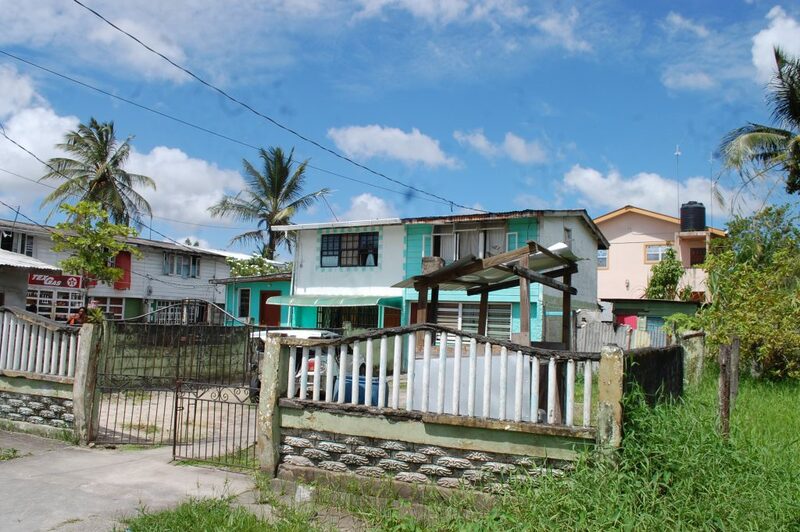 Late on Tuesday, ranks of the Police SWAT unit were deployed to the Le Repentir Cemetery in Georgetown because it was believed that an escapee, armed with gun/s, was hiding out in the area. However that search had turned up empty. 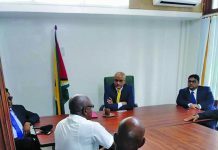 last Tuesday, law enforcement ranks had combed the East Ruimveldt area and had even allegedly scaled sections in close proximity to where Forde was eventually found. The late Clive Forde had been accused of the shooting death of Senasie Lewis, who was murdered near the Ghetto Flex Bar in Albouystown, Georgetown on September 4, 2015.
of fatally shooting Linden bus driver Alvin Lorrimer, surrendered to law enforcement officials at the Brickdam Police Station in company of his mother. According to information sourced from the Department of Public Information, Cromwell’s mother contacted a “senior” Government functionary and disclosed that the family was willing to turn the fugitive in. Other relatives of Cromwell were allegedly present when this happened. 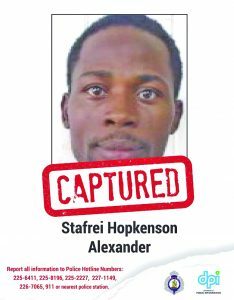 Last Saturday night, notorious criminal Stafrei Hopkinson Alexander, who had escaped from the Camp Street Prison on July 9, was recaptured at Topoo, in the northern section of the Region Six village of Albion on the Corentyne Coast in East Berbice. This village is situated to the south of Rose Hall Town. He was among those who had escaped during the fire which reduced the Camp Street penitentiary to rubble and left prison officer Odinga Wickham dead. The Police have disclosed that there have been several sightings of Alexander along the Corentyne Coast in recent days prior to his recapture. This newspaper has been told that ranks concealed themselves in an abandoned house in the village, and when Hopkinson walked into the building, it brought an end to a 16-hour stakeout. Residents of the Williamsburg/Hampshire Squatting Area on the Corentyne Coast have said that Joint Services ranks searched several houses on Friday and Saturday. On July 19, there were reports that Hopkinson had been spotted and shot at, but had eluded capture. He was at the time sleeping in a hammock in the backlands of Port Mourant. Hopkinson has been implicated in several robberies that occurred along the Corentyne Coast, and several of his alleged Corentyne associates have been under Joint Services’ surveillance in recent days, this publication was told. A police source has disclosed that Alexander will be arraigned in court this morning on several charges, including escaping from unlawful custody. Meanwhile, efforts are continuing to recapture the remaining three fugitives who escaped from Camp Street. These are Mark Royden Durant, aka Smallie; Uree Varswyck, and Cobena Stephens. The Lusignan escapees who remain at large are Shawn Harris and Paul Goriah, which reflects a grand total of five fugitives from justice still remaining at large. 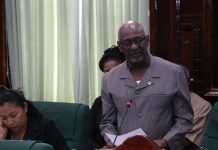 In the late hours of Sunday turning into the wee hours of Monday last, 13 prisoners made their way out of the Lusignan Prison by digging a hole under the perimeter fence even while under the watchful eyes of members of the Joint Services. Those men were deemed the “real bad” prisoners and were left in the pasture. 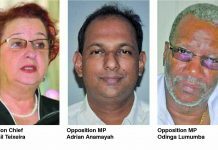 Three were later arrested along the East Coast of Demerara, while four were recaptured in Georgetown on Monday evening. 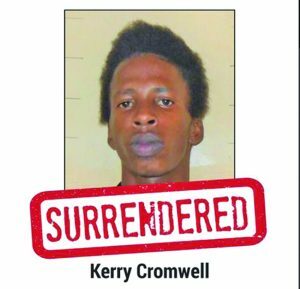 Another, Kendall Skeete, was on Wednesday last recaptured hiding in an abandoned house in Wisrock, Linden; and another, Pascal Smith, was nabbed by Police ranks hiding in a pit latrine at his residence, Barr Street, Kitty Georgetown. 22-year-old Jamal Forde, Jamal Joseph, and 19-year-old Winston Long pleaded guilty and were each sentenced to one year’s imprisonment; while Teshawn McKenzie, Royan Jones, Jason Howard, and Odel Roberts pleaded not guilty and were remanded until their case is called again in August at the Vigilance Magistrate’s Court. Following a fresh riot at Lusigan Prison, 16 inmates were shot and injured at the correctional facility on Saturday. In addition, four inmates were also injured during a brawl among themselves. It was explained that force had had to be used to restore order at the facility.